Are you a hunter looking for a new rifle? Or a mother trying to find the right pistol to protect yourself and the safety of your family? Or maybe you’re just curious about the latest firearm technology? Then GunAdvice is for you! GunAdvice is a website for everyone interested in firearm technology, the latest trends in gear and accessories, as well as expert tips on handling and gun safety. 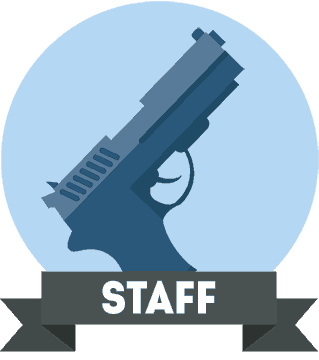 Our aim is to provide you with genuine and unbiased reviews to help you find the gun that best suits your needs and budget. Our website runs on the small commissions we receive if you make a purchase through one of our affiliate links. The money you spend will be directly responsible for helping us maintain this website and continue to offer you fresh, thoroughly-researched, and most-importantly authentic product recommendations. Mark has been working for the National Park Service for fifteen years. Born and raised in Missouri, he now lives in Murray with his wife and two sons. When he’s not hunting, he spends his free time volunteering at an emergency operations center and he frequently participates in debates surrounding the Second Amendment. After a football injury in high school, hunting became Dale’s new passion. During his senior year, he started competing at the USPSA. The Kentucky-based attorney writes about politics, law, and his personal experiences with firearms online.